We met on the set of Mad Men. Alec had worked in the art department for 3 seasons before I came along and to work in the costume department. Totally unaware of his intentions (and the fact he was even interested) I always thought our interactions were more work friendly. So when he invited me to play volleyball one Sunday with his friends I didn’t think anything of it. He even accidentally spiked a ball in my face and little did I realize (we joke) it was probably cupids arrow. 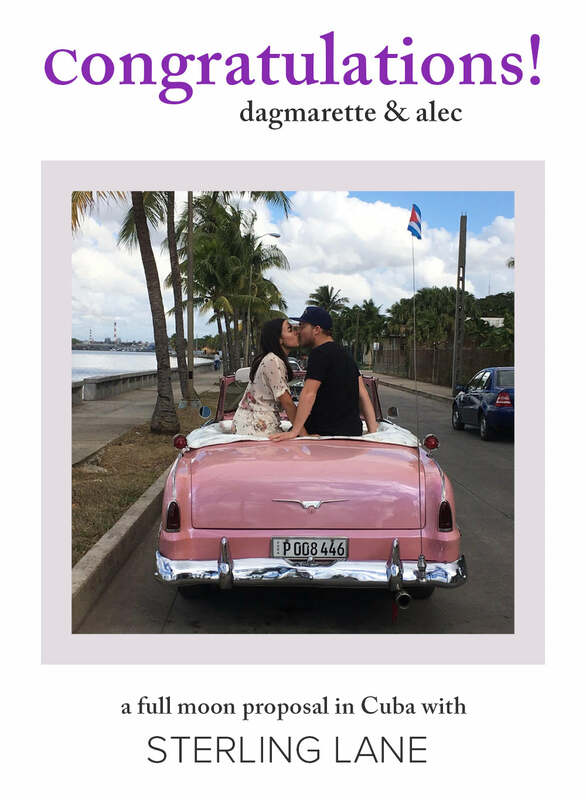 Next thing you know, a first date, 3 years, and a rescued cat later, Alec proposed under a full moon atop a tower during our vacation in Cuba with a cuban band playing Buena Vista Social club. The 3 years leading up to the proposal have been challenging in our careers, jobs separating us across the country, but our relationship has stayed solid and our love has only grown. I think we knew pretty early on that we were meant to be together and this would be worth the fight.